We are pleased to announce that NIH Leadership has granted clearance for the second, final phase of the Diversity Program Consortium (DPC), a national program that is part of a larger, trans-NIH effort to enhance diversity in the biomedical research workforce. To accomplish this goal, the DPC takes a scientific approach to evaluating training and mentoring interventions. Two components of the second phase will be open competitions: the National Research Mentoring Network (NRMN) and the DPC Dissemination and Translation Awards (DPC-DaTA). The DPC-DaTA grants will allow sites that are not currently part of the DPC to implement sustainable training, mentoring, or research-capacity building interventions using DPC evaluation methods. 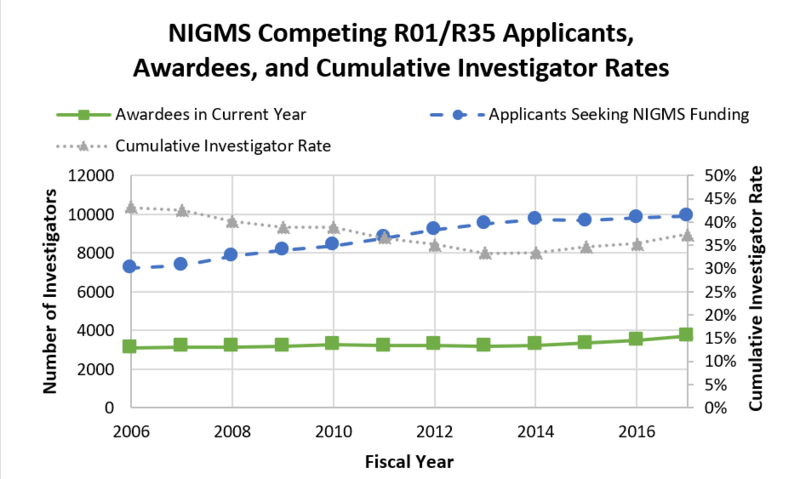 NIH intends to release the DPC-DaTA FOAs in 2019. The Science of Mentoring and Networking (U01) (RFA-RM-18-004). Applicants may submit proposals for research projects in the following areas: 1) The Science of Mentorship, 2) Professional Networking, or 3) Navigating Critical Career Transition Points. Using randomized control trial approaches, case controls, matched pair designs, or other rigorous designs, applicants will explore their research questions and contribute to building the knowledge base to inform the scientific community about their thematic area. NRMN Coordination Center (U24) (RFA-RM-18-003). One service award will be granted to develop an NRMN Coordinating Center. This Center will build upon and improve the current NRMN Administrative Core and work in conjunction with the Center for Evaluation and Coordination (CEC). It will coordinate trans-NRMN activities, and provide infrastructure and expertise surrounding data collection, storage, de-identification, and reporting. NRMN Resource Center (U24) (RFA-RM-18-002). One service award will be granted for an NRMN Resource Center. This center will be analogous to the current U54 Mentorship and Networking Core and will provide a web-based mentoring tool to facilitate real-time mentor/mentee engagement. It will also oversee management of the NRMN website and serve as a platform for publicly available mentoring resources and tools. Two components of the DPC for the second phase will be limited competitions. The Building Infrastructure Leading to Diversity (BUILD) (U54) (NOT-RM-18-005) will allow meritorious sites to complete their BUILD experiments. Review will include a focus on site-specific and consortium-wide experiments, and emphasize sustainability and dissemination. The Center for Evaluation and Coordination (CEC) (U54) (NOT-RM-18-006) will allow for uninterrupted data collection. The review will focus on the current center’s strengths and weaknesses, allowing for improvements and course corrections. Sustainability and dissemination will be emphasized. Contact for questions? Mercedes Rubio for NRMN inquiries, Anissa Brown for BUILD inquiries, Michael Sesma for CEC inquiries, and Alison Gammie for DPC-DaTA inquiries.